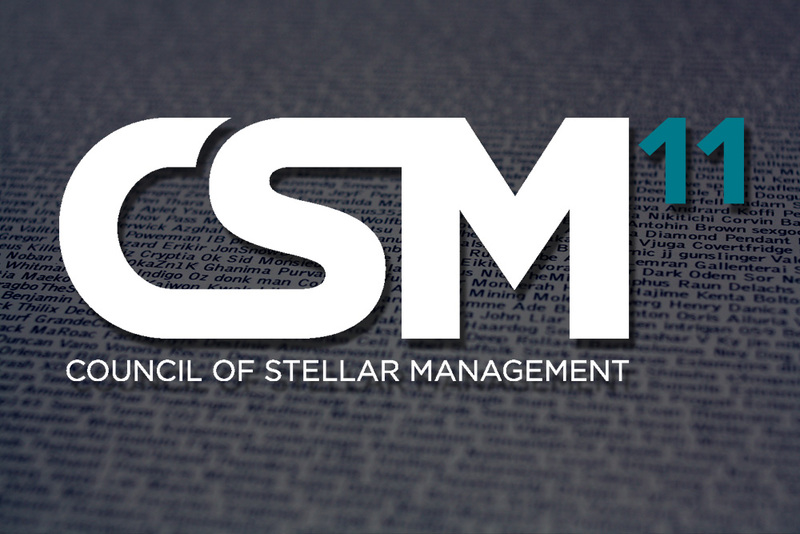 The CSM11 candidacy period is upon us, and much speculation revolved around the CSM lately. To provide a view from the inside, CCP Leeloo very kindly agreed to sit down with me on skype and talk about the CSM. 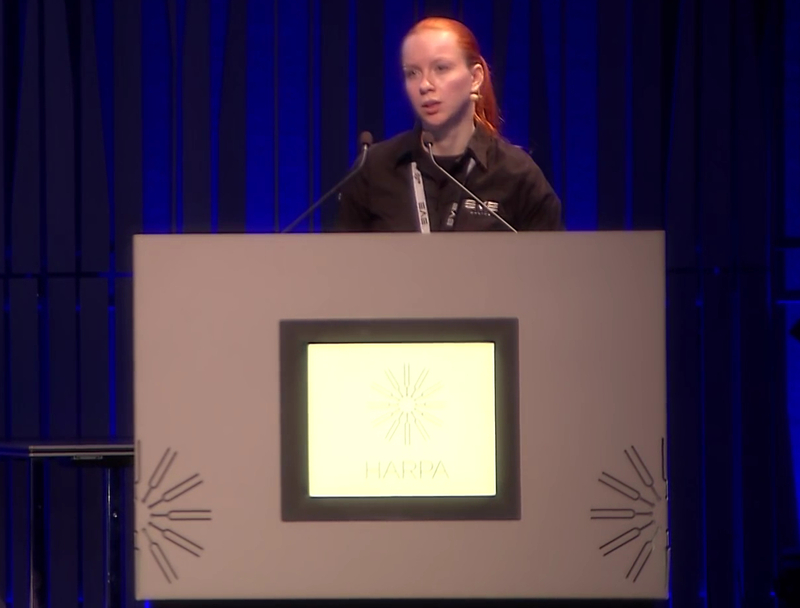 You can view her presentation about the CSM at the last fanfest here and the recent dev blog about the upcoming elections here. Apothne: Why don’t you start by telling us what your role with regards to the CSM is? What are your other responsibilities at CCP? Leeloo: I am a Community Developer at CCP. I run the CSM project. I make sure that CSM delegates get the information they need, being their link to the development team. I also take care of all organizational things around summits and elections. Apothne: What in your mind makes for a strong CSM, both as a whole and on an individual level for each delegate? Leeloo: It is really up to each delegate to define where they can help. Basically the more feedback you can provide, the more ideas and suggestions you can pass from your voters, the better it is. Apothne: So what would you say the core function of the CSM is? Leeloo: To put it simply – CSM is the link between the community and our development team. They make sure that the opinions from our players are being voiced. Sometimes, we include the CSM in the design process very early and these are the cases where CSM delegates are able to provide feedback and point to any potential risks with the feature in advance so that we can either acknowledge those risks or iterate on the feature before releasing it. Apothne: Since you started running the CSM project, has the institution changed much? Do you notice a big difference between each group or is it largely similar each time with different faces? Leeloo: We’ve made some changes to the communication process. We now let CSM access some of our internal tools, such as Confluence and HipChat. Communication has become a huge challenge after we changed the development cycle, so there is still a lot that we need to change to bring it to the level we would like it to be at. I would say that each Council is very different depending on the individuals on it, even same people shift their opinion from year to year. Apothne: Given what you’ve just described, what do you hope to see in CSM11? What are the key qualities you hope to see in candidates? What are qualities that players may not think of at first that make for less helpful CSM delegates? Leeloo: I hope to see passionate and knowledgeable players that want to help us shape what EVE will become during and after their term. I expect to see candidates who are not afraid to criticize and question what we do in a respectful and constructive way. Less helpful would depend on the point of view. If the candidate decides to push their own agenda instead of voicing opinions of their constituents, it would be quite sad for those who voted this person in, as for our point of view – having someone who is negative and not constructive in their communication would certainly make the process more challenging. Apothne: There is something of an elephant in the room with regards to “drama” on CSM10 and a strained relationship between the CSM and CCP. We have heard very little (most likely wisely) out of CCP with regards to all of this, is there any comment you’d be willing to make? Not necessarily about the specifics of what happened, but as to some of the things that CSM/CCP can find difficult about working with each other? I would rather not use the “D word” to describe the communication issues we’ve been experiencing. Leeloo: I would rather not use the “D word” to describe the communication issues we’ve been experiencing. Some of them come as consequences of past events, such as NDA breaches and shift to the new development cycle. Some of them are rather interpersonal than procedural and these are very hard to mitigate. On top of everything else, it is unfortunately often the case that the whole Council is being seen differently depending on the actions of one person, this is something we are trying to change as – to be honest – while we do have a team of players we don’t expect them to actually work together. Each CSM delegate has their own agenda and opinions. Often they don’t match not only our point of view, but even the point of view of other delegates and the community. Same goes for our development team. Sometimes actions of one developer can reflect how CSM delegates see us as a company. I would say that this is the biggest challenge – trying to explain to people that while we have a team, we also work as individuals and therefore should be seen as individuals. I think that such an approach helps to establish healthy communication. Apothne: It has been said by current members of CSM that the relationship between CSM and CCP has been “damaged”. Do you think this is a good way of putting it? Do you think CSM11 will start with a blank slate or will they need to rebuild bridges? Leeloo: Yes, sadly I can agree with this statement. We’ve been experiencing some communication issues during this year. I will not agree with “the CSM is dead” notion though, even with the issues we’ve had, this year was incredibly productive, at least from my point of view. I would like to hope that we will learn from the experience we had during this year and make sure that we avoid any potential issues during CSM11 but I can not see the future, so we will have to do our best and see how it goes. Apothne: The change in the whitepaper recently said members that were deemed to be inactive can now be voted to be removed. If CSM members that are voted in and are active but abstaining from comments or failing to provide constructive comments for feedback – is this considered to be active or inactive? Leeloo: In what way are they active then? 🙂 If the delegate is simply harassing our developers or our players, they would not last long on the Council. Apothne: Some players are saying that lower numbers of players are voting in the elections, that it would appear that more than ever the playerbase is losing faith in the CSM. Is this accurate? If so what do you think that CSM11 and/or CCP can do to help reverse this? Leeloo: We’ve seen an increase in votes during the CSM10 election compared to CSM9, also it’s been an increase on actual % of active players voted compared to previous elections. I am hoping we can keep up this trend and have even more votes in CSM11 election. From what I’ve seen, communication and visibility plays a bigger role in voter turnout than what Council representatives actually do throughout the year. We’ve tried taking steps in addressing these issues as well, by providing more visibility to what delegates are publishing on their own, releasing meeting minutes faster and making sure we utilize all possible communication channels with our player to inform them about the upcoming elections. This is not to say I am completely happy with the numbers, I would definitely love to see them climb higher. Apothne: The CSM uses an STV voting system, for those players unfamiliar with how it works, could you give a brief explanation of how it works and what makes it the go-to for electing the CSM? To describe it shortly STV allows voters to use their vote more than once by selecting multiple candidates in the same election, in the order of preference. So for example if I’d like Bob to be my CSM delegate I put him as #1 on my vote, however, if something should happen and Bob would not get elected or would get removed I wouldn’t mind John representing me either, so I would put him as #2 in the same vote. With our system you can select up to 14 Bobs and Johns, ranking them the way you want. Apothne: Finally, do you have anything you’d like to say to the playerbase and prospective CSM candidates about the upcoming election? A huge shoutout and thanks to CCP Leeloo for taking the time to sit down with me and answer all these questions about the CSM. Hopefully this will help give everyone a little more insight into what we should be looking for in CSM11, both as members of the community and for all the potential delegates.